Meaning there's a huge chance of the game receiving an add on like Fall of the Samurai as in Shogun 2 if you read the article. This will also draw in the "Chinese market" in buying both 3K and Warhammer, since the visit from the Chinese community last time for 3K CA should have a grasp on whats going on. Before the announcement of 3K, the chance of Cathay being on Warhammer 3 is close to 0. Now after 3K has been announced the possibility isn't 0 anymore, especially after what CA did on Vampire Coast and custom lord. Assets from 3K can be modified/reused. The map can be cut like on Mortal Empire, Cathay can also act as an expedition force without including the whole map. It would make sense since they are one of the very few good "Order" factions fighting off against Chaos. And on the Darklands, we are lacking good factions, if the game only has 4 Chaos faction the game won't sell well. Kislev will be a good addition as a pre-order bonus. If CA really wanted money, no way you guys will miss this! Nowhere in that article was there an indication that 3K (which hadn't even been revealed at the time of that article) was going to receive an expansion akin to Fall of the Samurai. The expansion they are talking about is the Empire Divided DLC for Rome 2, which was the "older game" they were referring to. Are you saying that more people know about Cathay in Warhammer, than they do about other periods of Chinese history? I think most people know who Genghis Khan is. Where as for most people, Warhammer does not even register, let alone Cathay in Warhammer. 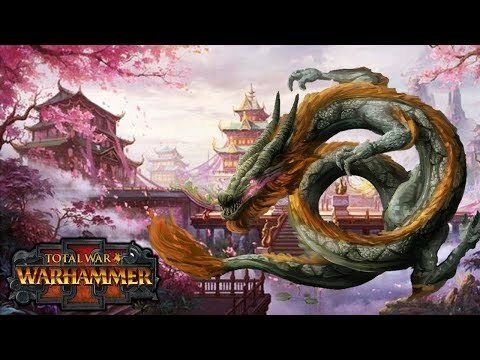 I find it likely that CA will do Fall of the Samurai type expansions for 3k. However, there is 0 chance it will be Warhammer related, and the sales of 3k have 0 to do with what content Warhammer receives. I think most people know who Genghis Khan is. Where as for most people, Warhammer does not even register, let alone Cathay in Warhammer. Gotta be honest, man, that is some flimsy logic. 3K was popular and CA made the right call to release a Chinese setting this year rather than 10 years ago, games like Dynasty Warriors, Romance of the Three Kingdoms helps massively popularizing 3K history onto the West. And every single Chinese becomes aware of 3K since they were small through schools/ exams where it's mandatory, not to mention its also fairly popular in Japan. @takilung31 I'm sorry, man, you've lost me. Is this about Total War: Three Kingdoms, or about adding Cathay to Total War: Warhammer 3? Because if this is yet another discussion about adding Cathay to WH3, then you should probably be talking to people in the Warhammer section. Although I can see the appeal to Cathay, it doesn't really interest me right now. And I honestly can't see any correlation between 3K sales and the probability of Cathay being implemented in WH3. Correlation between 3K sales and the probability of Cathay would be linked to the Chinese audience. Chinese players have wanted 3K since ages, it goes the same for Cathay. If CA wants to create more content for Warhammer they will. I still fail to see what it has to do with 3K. On a side note, we know pretty much what the TW:3 combined map looks like, and Cathay is not on there. You seem to have two contradicting points. One is that westerners are either too stupid or ignorant to have any interest in Chinese history or it's warfare. So, CA instead should focus on fantasy content. The other being that the Chinese market will be the driver of sales for 3k. If the Chinese market will be the driver of sales for 3k, won't that self same market know there own history? I bet there would be far more interest in exploring other aspects of Chinese history, than being given some western bastardization of their civilization, which is what Cathay is in WH. 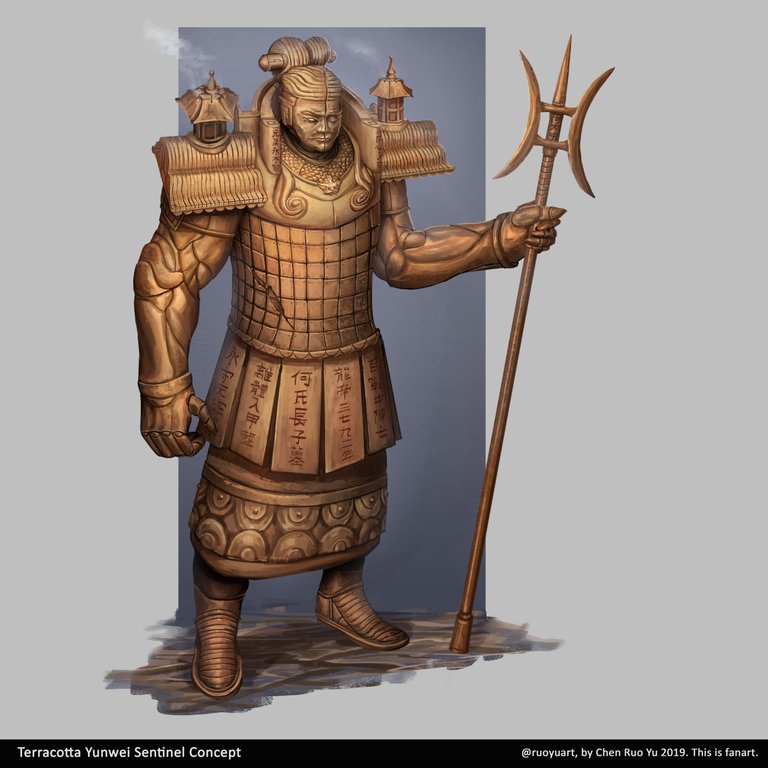 Really, Cathay in WH has about as much to do with China, as Lizardmen do with the Inca, Aztec and Maya cultures. Three Kingdoms period is really popular thanks to the author of the Romance of Three Kingdoms which was Luo Guan Zhong, it got even more popular when KOEI Tecmo released both dynasty warriors and romance of three kingdoms game. Of course from what I've seen, a lot of 3k fans are exited. But one thing I'm worried is will it disappoint the Chinese government. If CA made a slight mistake, they might just banned the game. 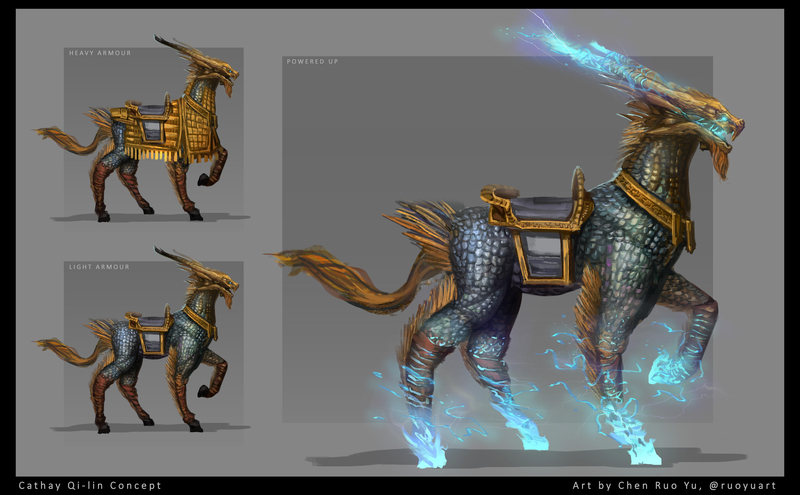 If lets say, 3k is a success in China and the west, then i believe that it may influence CA to create a chinese style faction like cathay for warhammer 3. Although I'm a chinese, i could say i'm still satisfied with what i've seen except for the AI. But I have concerns for future DLCs. I'm sure CA will add faction packs like how they did from shogun 2 until now. But for timeline scenarios, it will take a long time to research as this is the first time CA touched Chinese history. This is a warhammer post on the 3k forums. A little bit subject at the start to push a warhammer agenda. Warhammer 3 will come in a year or two, wait your turn. How is all of this related to 3K ? I have nothing against them adding cathay but seriously dawg, i came here for 3K news and contents not the other way around. Go post it in Warhammer sub-forum. Well, it sounds like the primary purpose for this thread is arguing a case for Cathay being added in WH3, rather than anything about 3K specifically. I don't think any of us here in this section can really help you in that regard; we're just here for 3K. Try the Warhammer section, you might have more luck. I'd actually argue that from the core historical audience the Warring States period is just as famous if not moreso than the 3K era was. The Warring States period was definitely tied with 3K and the Mongols as being the 3 obvious places to introduce China as a setting to Total War. If there is to be any sort of FOTSesque expansion for 3K I expect it will be branded as a SAGA title and be about the Warring States. Warring States can either be a Campaign DLC or SAGA title IMO. The Mongols IMO are too big and must be their own game, even if you exclude their western conquests and focus just on Eastern and Central Asia. true to the point the warring state period is one of basic history lesson in Chinese school and the main reason why China has a one state rule. also the northern and soutern dynasty, Chu-Han Contention ( founding of the Han Dynasty) and Xin Dynasty era are more than enough DLC packs C&A can release. Cathay has more to do with Warhammer so you can take the debate to the Warhammer Forum takilung31. How is all of this related to 3K ? I have not played a single Warring States game till now, nor when I ask my friends ppl only know about the history of 3K. Due to Dynasty Warriors, ROTK etc. I've heard it through, history, while some ppl have read the manga of Kingdoms which could influence on their taking. To make it simple, what you are saying is: If 3K is success in China, CA Fantasy team go with Cathay as a 4rd race for Warhammer 3 or DLC and if it is not a success they choose another race. Among men, Lu Bu. Among horses, Red Hare. Has become mostly a business discuss, which belongs in Chat. Everyone got the point, but you spent much more time talking about Cathay and all its possibilitys then you did 3k, on the 3k forum. We dont really care about Cathay here, at all. But now it's a business discussion. No, it's not that we "don't get it", or that we're too dimwitted to see the connection. We're saying there is no connection, and nothing at all to suggest there is one. First of all, when talking about the financial reasoning, there's the large Chinese market that CA is clearly trying to break into as of late considering not only are there a lot of Total War fans there, but many RTS fans in general with PCs. Having two products that have something for the Chinese market (Three Kingdoms needs to explanation, and Cathay would draw more people to TW:W3 with a Chinese expy) increases CA's potential revenue greatly.